View More In Gun Sights - Page 5. 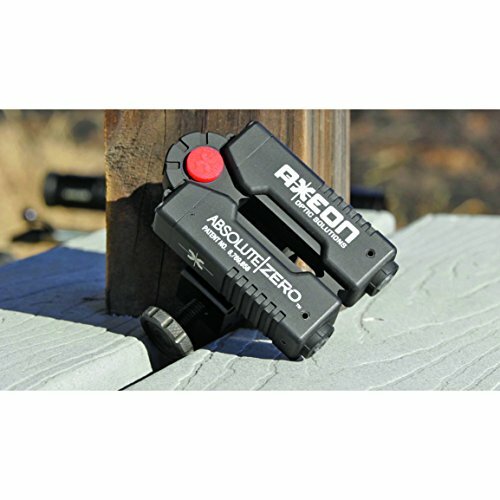 The Axon absolute zero makes sighting in your rifle absolutely easy. Using two precision lasers it allows you to hold your rifle in the same place for each shot and eliminating hold error. With absolute zero you are able to achieve cold barrel accuracy, save time, and minimize the time spent on zeroing by eliminating cant error. Cant error is the result of not holding the rifle bore axis and the scope in a vertical Plane. Unlike a bore sight the absolute zero is not caliber specific. If you have any questions about this product by Axeon Optics, contact us by completing and submitting the form below. If you are looking for a specif part number, please include it with your message.